U.S. Representatives Dave Reichert (R-WA) and Earl Blumenauer (D-OR), members of the tax-writing House Committee on Ways and Means, on Nov. 2 introduced the American Renewable Energy Production Tax Credit Extension Act (H.R. 3307). This bipartisan bill extends the tax incentive for the production of wind power, geothermal power, hydropower, and other forms of renewable energy through 2016. The bill is currently in the House Ways and Means Committee. H.R. 3307 provides a clean, 4-year extension of the existing production tax credit for wind, biomass, geothermal, small irrigation, landfill gas, trash, and hydropower. It was created in the Energy Policy Act of 1992 and has frequently been extended in year-end packages of expiring tax provisions, as well as in the Energy Policy Act of 2005. The current incentive is set to expire next year for wind and in 2013 for other renewable energy forms. Advocates note that historically, at least six to eight months before the tax credit expires, financial lenders hesitate in providing capital for projects because of the uncertainty created by the pending expiration of the credit, stalling projects from coming online. The rush to complete projects as the PTC nears expiration also reduces projects and adds costs, resulting in higher electricity prices. "American wind energy jobs are something that we can all agree are vital for our economic well-being and energy security," said Denise Bode, CEO of the American Wind Energy Association (Washington, D.C.). "The recent stability of production tax credit (PTC) has provided the foundation of wind energy's transformation of a new manufacturing sector based on American ingenuity. 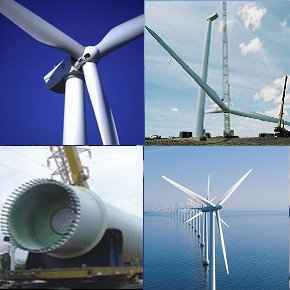 Over the last six years, U.S. domestic production of wind turbine components has grown 12-fold to more than 400 facilities in 43 states. Extending the PTC will keep growing U.S. wind energy manufacturing jobs, rather than losing them to other countries."